Rome is a millenary mistery of beauty, a place wich is place apparently indecipherable, intoxicating, bothersome; Rome is incomprehensible, heady, haughty. But there is a magic moment that his mystery becomes more fragile, penetrable: when the sun peeps out from Mounts Tiburtini, and opens the curtain on this stage of audacious beauty. 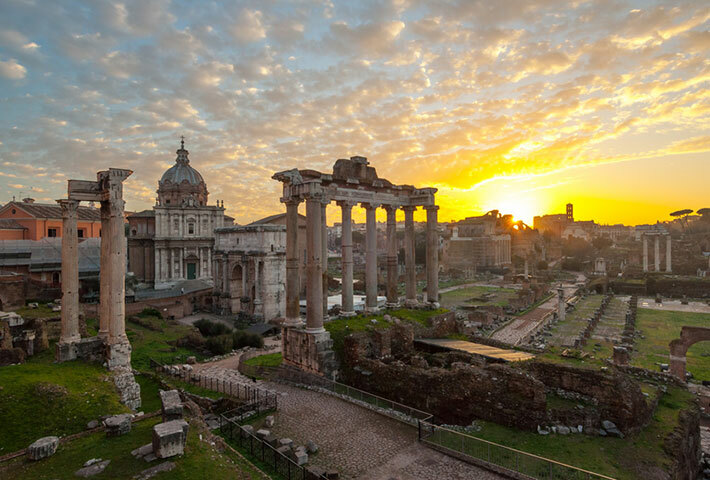 The Dawn of Rome, those five minutes that may be worth of a lifetime memory. The opportunity to enjoy, from the Janiculum Hill, a unique spectacle and then go down to explore, in the silence of the early morning the beautiful squares and Baroque fountains. A good Cappucino with Cornetto will frame on this tour unforgettable.